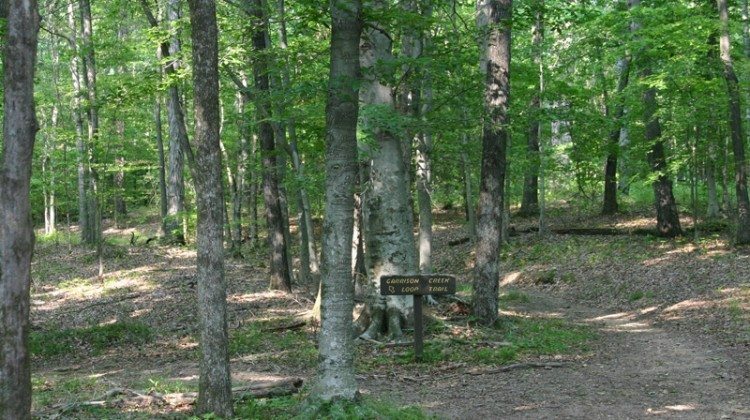 Here are details and photos of our favorite Natchez Trace hiking trail near Nashville TN. The Old Trace trailhead is located at milemarker 426.3 on the Natchez Trace Parkway. Also, a little about ticks & lyme disease here in Tennessee, plus tips for removing ticks from your body (and from your dog!) and how to prevent tick bites in the first place. The Family Roadtrippers document their many travels together as a family — mom, dad, and 2 kids. On this particular road trip, the family is venturing down the Natchez Trace Parkway in Tennessee, with a George Jones song playing on the radio. 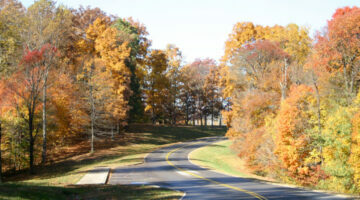 Thinking of taking a drive along the Natchez Trace Parkway? Here are some tips and reviews from others who’ve been there, done that. This 2-day ride starts in Nashville, Tennessee and travels 300K to Tupelo, Mississippi — and back. Best Natchez Trace Parkway Video To See What It’s Like Before You Go! These videos show the most unique qualities and beauty of the Natchez Trace Parkway. If you’ve never been, you will definitely want to schedule a trip to the Natchez Trace Parkway after you see these! As long as I’ve lived in Middle Tennessee, this is one of the first times that I’ve seen peak Autumn colors arrive so early: before the end of October! 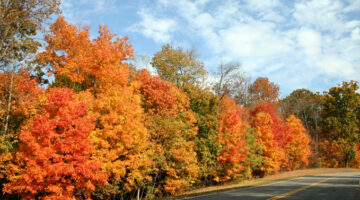 Here are some photos, plus info about viewing fall foliage in Tennessee. I was enjoying a leisurely day at the Natchez Trace Parkway with my dog yesterday, when I had a brief conversation with Chris Moore who was horseback riding on her horse, Molly. My all-time favorite part about the Garrison Creek area on the Natchez Trace Parkway is the creekside picnic benches, horse corrals or posts, and a shallow creek that’s fun for kids — and dogs — to play in on a hot summer day! Apparently there is some controversy as to whether or not caches can be placed on property within the Natchez Trace Parkway or not. Technically, state parks are fair game, and are NOT off limits for geocaching. Whereas, national parks are, in fact, OFF LIMITS for geocaching. There is currently only one cache hidden along the Natchez Trace Parkway. I live near the Natchez Trace Pkwy. I’ve spent a lot of time hiking, biking, picnicking, motorcycling, jeeping, camping, and walking my dog there. It ROCKS! I’m always intrigued by pictures and historical facts, and I love the Natchez Trace Parkway, so I was thrilled to receive an advanced copy of this pictorial history book by the Natchez Trace Parkway Association. 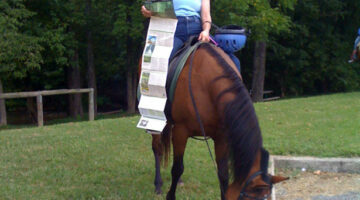 Who better to share photos and fun facts with the public about the Natchez Trace Parkway, right? Here’s my review. 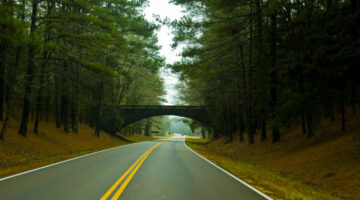 Following is a growing collection of interesting quotes which mention the Natchez Trace Parkway. It’s a beautiful stretch of roadway that spans from Tupelo, Mississippi to Nashville, Tennessee. Perhaps you’ll glean some more reasons why The Trace is a place that should not be missed.